Nestled amidst the tributaries of the Periyar river in Kerala, in India, lies the small jungle haven for a variety of birds, Thatekkad. The region is under the protection of the Forest Department of the State and deemed a Bird Sanctuary too, since 1983. The region is blessed with tropical, evergreen deciduous forests with grassland patches and ponds. It's just the perfect sanctuary for birds. The sanctuary here is named after Dr. Salim Ali, a world renowned Indian Ornithologist. Although during the rainy season, I was lucky to make a trip to Thatekkad recently on my holiday and just enjoyed the time so much that I thought I'd pen down a few lines about the trip. Best time to visit the Sanctuary is from September to March, after the rains have receded. There are a couple of marked trekking paths through the forests and ticket for the same can be picked up from the Eco-tourism office. However, if you are a birding enthusiast like me, it would be good to get in touch with the few birding guides in the region. They are constantly exploring the jungles and are up-to-date with the roosting sites for the bird species in the area. 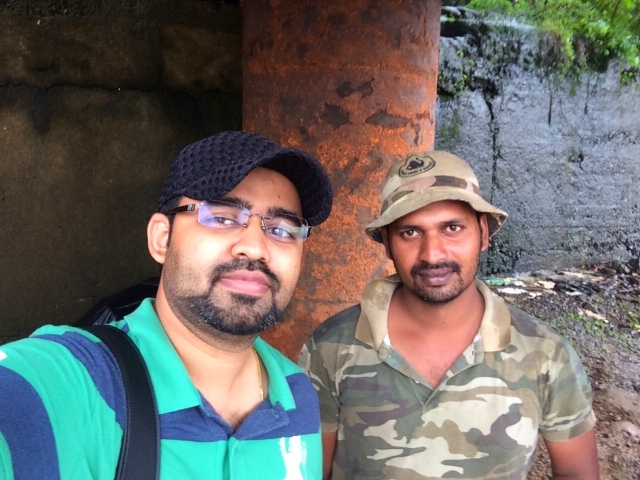 On my trip, I caught up with my friend and guide, Sudeesh Thatekkad (camo outfit in the picture) and we drove and hiked around the forested areas surrounding the region. We skipped the marked paths in an attempt to get some birds that are hard to find otherwise. The rains were very frequent (August) and so it was quite hard to photograph or spot birds which are otherwise in plenty. Brief periods between rains usually see a lot of bird activity and this is the time I used to capture some photographs. That said, if you can handle the wet rains and not averse to getting a little dirty, the best time to enjoy the lushness of the forest is definitely in the rainy season. Wildlife spotted on this trip were Dollar Bird, Indian Grey Hornbill, Srilankan Frogmouth, Red Whiskered Bulbul, Little Cormorant, Malabar Parakeet, Common Green Whip Snake, White breasted Water Hen, Golden Oriole, Racket-tailed Drongo, Ashy Drongo, Black Drongo, Forest Snails, Jungle Babbler, Rufous Treepie and Lesser Whistling Duck. Feel free to reach out to me through the contact page on the website if you have any questions regarding making a trip to Thatekkad. I'd be more that happy to help. 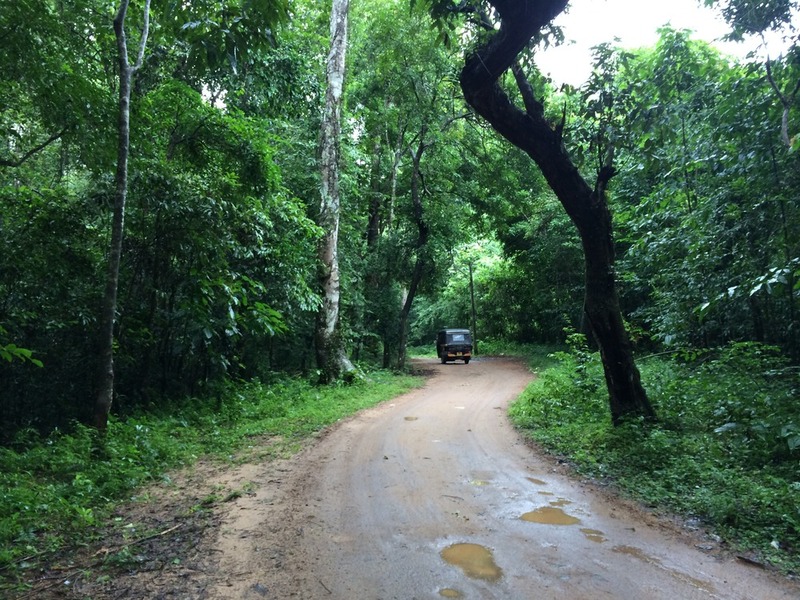 The roads and forest areas surrounding the sanctuary.